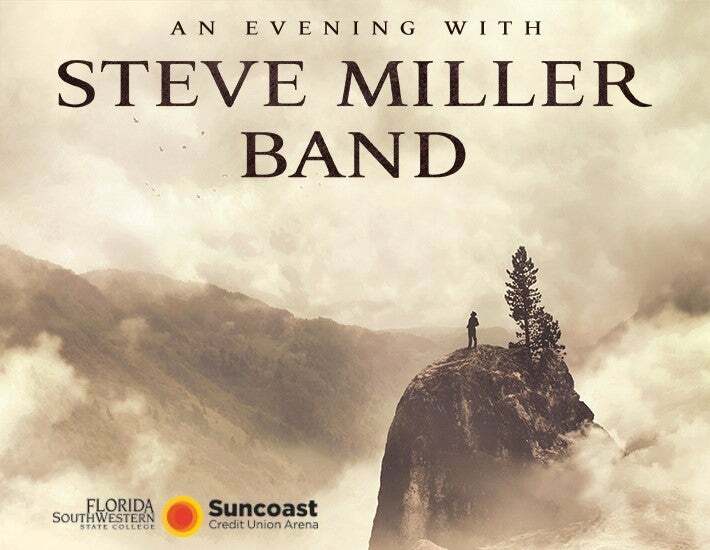 Steve Miller Band will perform at Suncoast Credit Union Arena at FSW on Wednesday, March 13 at 8PM. Tickets go on sale Friday, January 18 at 10AM at the Box Office, online at www.bbmannpah.com or call (239)481-4849. The concert is presented by AEG Presents and PFM. Coming off an extraordinary 2018, Rock n' Roll Hall of Famer Steve Miller is looking forward to his Spring 2019 tour. In 2018, Miller produced and personally directed the curation and creative process for two new, career-spanning Steve Miller Band Ultimate Hits collections (Capitol/Ume). Ultimate Hits is available in a 1CD and digital edition featuring 22 essential Steve Miller Band tracks, including three previously unreleased rarities, and in an expanded 2CD and digital deluxe edition with 40 tracks, including the acclaimed band's top hits, live tracks, and eight previously unreleased recordings from the studio and the stage. Both editions are also available on 180-gram vinyl in 2LP and 4LP deluxe packages. Steve Miller was a mainstay of the San Francisco music scene that upended American culture in the late '60s. With albums like Children of the Future, Sailor and Brave New World, Miller perfected a psychedelic blues sound that drew on the deepest sources of American roots music and simultaneously articulated a compelling vision of what music-and society-could be in the years to come. presented two sold out shows at JALC called “Music from Appalachia.” The Steve Miller Band 2019 USA tour dates and further album release and compilation information will be announced soon.